Plants are all around us. Learn about the life cycle of a plant, what seeds are for, and more in this colorful nonfiction reader. Young botanists can even watch a seed grow using the included science experiment. "All six books in the . . . series provide great life science content in a versatile format. They might be read aloud to large or small groups, used in a center, or be a source of material for independent reading and research . . . The table of contents is easy to read . . . both students and teachers will enjoy and learn from them!" "Author Mary Dodson Wade does an excellent job delivering a lot of information about plants in a very kid-friendly way . . . By being easy to read, yet having lots of great information and interesting facts, the books fills a niche that is often difficult to fill in this age range." ". . . written for beginning readers, this colorful and informative book will introduce early elementary students to the life cycle of plants. Large print, straightforward and easily understood text and color photographs on every page will keep the young readers turning the pages . . . This book along with its companion titles would make an excellent addition to elementary classrooms and school libraries." Other books in I Like Plants! "These are very attractive books that present the basics of plants in easy-to-understand language for younger children. They would be a welcome addition to plant units in primary grades. Children would also find them attractive for browsing." ". . . the facts are clear and accurate. Colorful photographs appear in an easy-to-follow layout." "These titles describe plant life and show how people and animals depend on it to survive . . . Beautifully detailed professional photographs of plants, animals, and people complement the subject matter." These early elementary books about plants are reviewed by a reading specialist to assure proper vocabulary level and readability. Beginning readers will enjoy these easy-to-read books which contain exciting text and color photos. Each book includes an experiment to promote inquiry skills. More about I Like Plants! 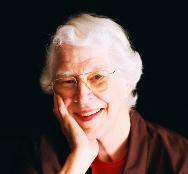 Mary Dodson Wade is a former elementary school librarian and the author of more than forty children's books.